country, and is most common in the Southwest. 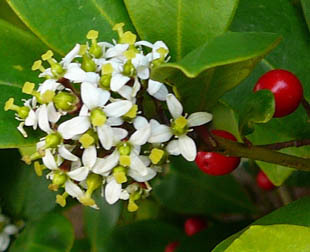 The planted shrub is found in gardens everywhere. an escape in the wild only since the 1970s. 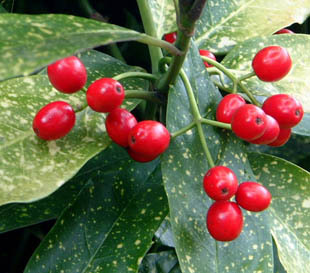 and has uniformly glossy, dark green leaves. 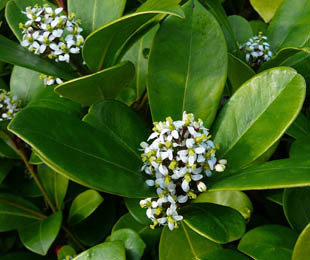 It is the female plant of A. japonica var Variegata. 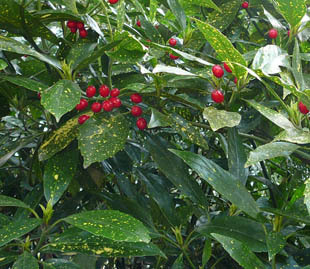 It has yellow speckled leaves and is the commonest one grown.